A few quotes I’ve collected over the last few weeks on twitter, or just had lying around, or whatever. I don’t think I mentioned it, but I ran into Malcolm Gladwell in the lobby of the office building I work in. I always feel a little bad in interrupting someone who probably gets interrupted a lot, but if I actually care about who they are I will usually interrupt anyway. Some may see that as backwards, but whatever. I don’t try to become their friend. I just say hi, express my appreciation for their work, and go on my merry way. I posted this quote back in November of 2007 and I’ve already said everything I have to say about it (for now). Which would be pretty terrible, especially if you had no allergic reaction to the bee. I choose a grudge-free life. Also, that would be quite the persistent, death-resistant bee. Choice, or agency, is a condition of life. This should not be confused with the ability to act on choices without undesired consequences. That’s called freedom. 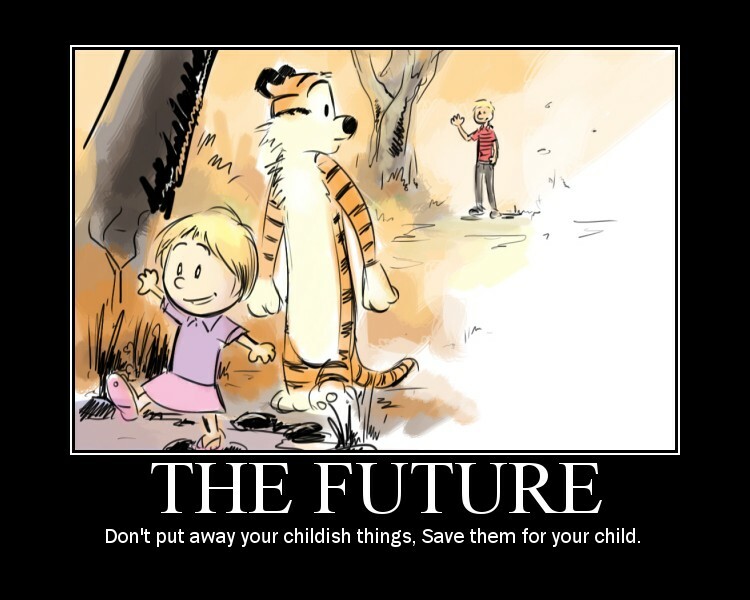 And in the spirit of Calvin & Hobbes, here’s a semi-sad reminder (if you love Calvin & Hobbes) about saving things for your children instead of throwing them away. I’m really just putting it here because I like Calvin & Hobbes, I’m sentimental, and I wanted an excuse to post it.